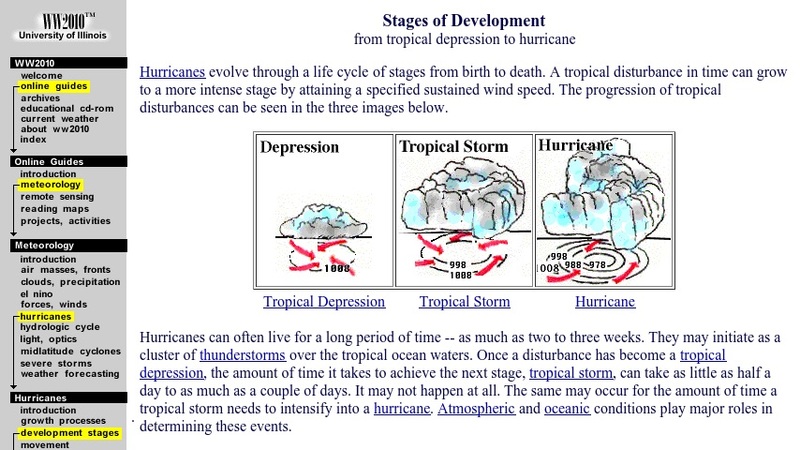 Students can study the development of hurricanes as they evolve through a life cycle from a cluster of thunderstorms to a tropical depression to a tropical storm and then to a full-fledged hurricane. The characteristic atmospheric pressures at each stage of development are presented, and images of each stage are included. Links to more detailed information are embedded in the text.